This year marks the 70th anniversary of Minotti, a company that has become a byword for quality Italian-design furnishings. Founded by Alberto Minotti in 1948, it began as a small scale artisan workshop which grew through the decades and – after Alberto’s sudden death in 1991– his two sons took up the reins. 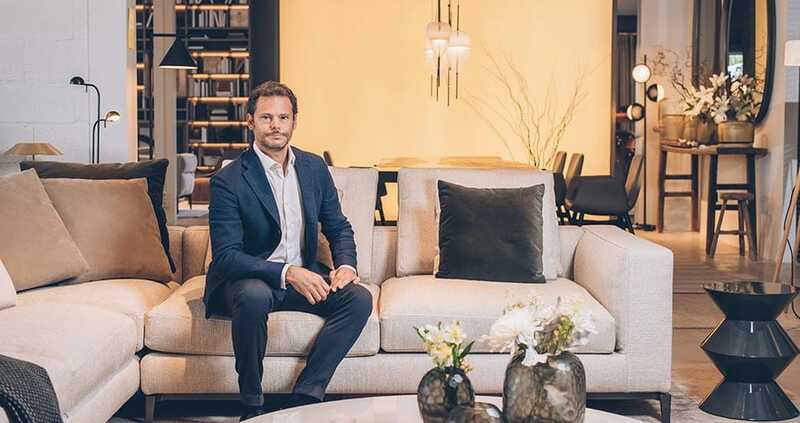 Today, a third generation of the Minotti family are now involved in the on-going success of the firm that continues to evolve and expand throughout the world. Alessandro Minotti (the grandson of Alberto) is the General Manager of the design firm, and responsible for focusing on the development of international markets. For this reason he is visiting Mallorca, with the brand’s involvement in one of the most impressive interior design collaborations of the year: the ‘Minotti Showvilla’. The project centres on an 800-square-metre luxury villa, located in the exclusive Cap Adriano development, in which interior design specialists Terraza Balear have furnished the property with 100% Minotti designs. 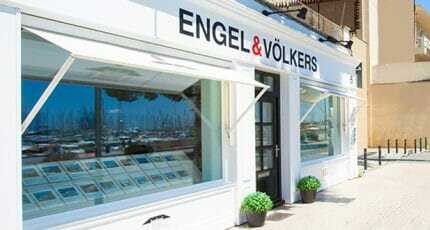 Also involved with the Cap Adriano project are real estate firm Engel & Völkers, and thanks to the great success of international sales, the villa is one of just two that are still available. 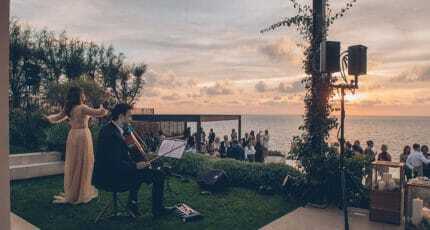 Alessandro first heard about the project though Mariana Muñoz, founder of Terraza Balear, and he recognised it as a great opportunity to showcase the Minotti brand on the island. “Mallorca is a very important location for us as it attracts our typical customer from around Europe,” Alessandro explains. And asked about the choice of Terraza Balear as their exclusive authorized dealer in the Balearic Islands, as well as praising Mariana’s vision he also compliments their “fantastic” team who he sees as “talented interior designers who listen to and understand their clients.” He also acknowledges that, while maintaining the strong Minotti brand, Terraza Balear have skilfully adapted the look and feel to be more fitting to local tastes. 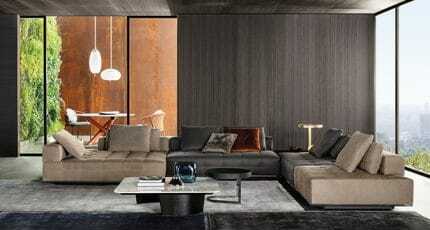 The project draws mostly from Minotti’s 2018 collection, but also includes some pieces from previous years. “This is very important because as a strategy the idea is always to have something new that is easy to integrate into the previous collection.” Alessandro sees the furniture lines as a gradual process of evolution in terms of design, adapting materials and colours, but avoiding any dramatic stylistic changes. Or as Minotti puts it “innovation in the spirit of continuity”. 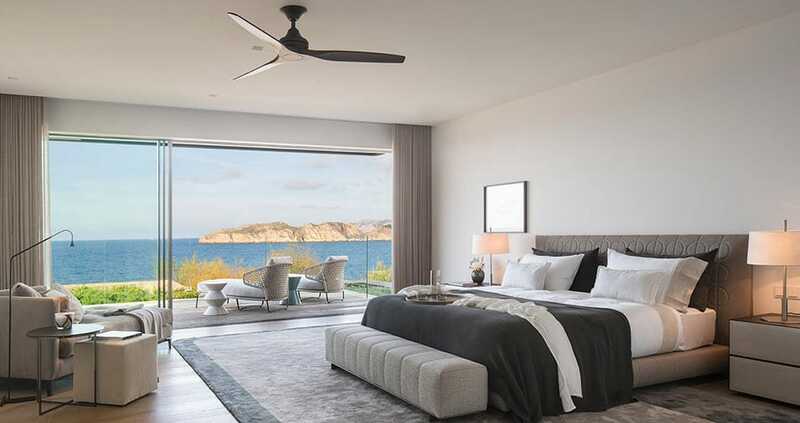 The luxurious, six-bedroom Cap Adriano villa has provided the perfect environment for a collaboration that synergises two design companies at the top of their game. Terraza Balear have employed their signature palette of muted Mediterranean tones and textures to create an effect that is both sophisticated and inviting. In this context of understated elegance, the timeless-yet-contemporary Minotti furniture find their perfect setting. 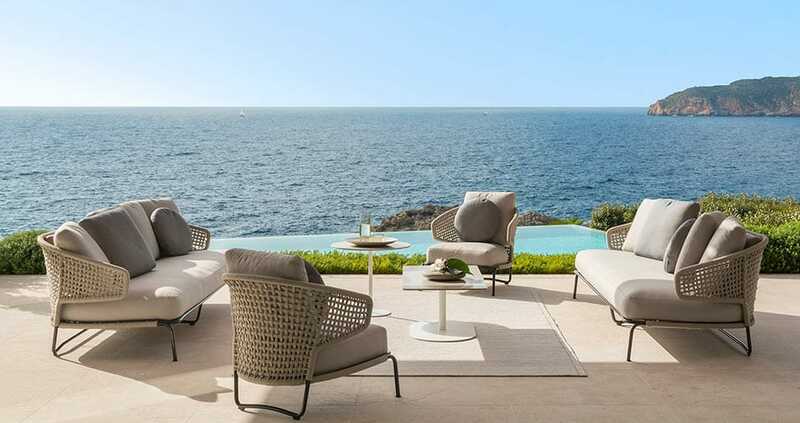 We hope you have found this article about the Minotti furniture on Mallorca useful and that you have many memorable stays in Mallorca as a result of our recommendations.